Calum Scott, 14, from Nairn Golf Club, and Sarah Westwood, 16, from Elgin Golf Club, will compete against some of the world’s best young amateur golfers in a field of 60 for stroke-play event from September 17-20. This is only the third year Sarah has competed seriously in golf, having also excelled in badminton, football and tennis. She won the Northern Counties Ladies Golf Association’s girls championship last weekend, having won the handicap competition in 2016. 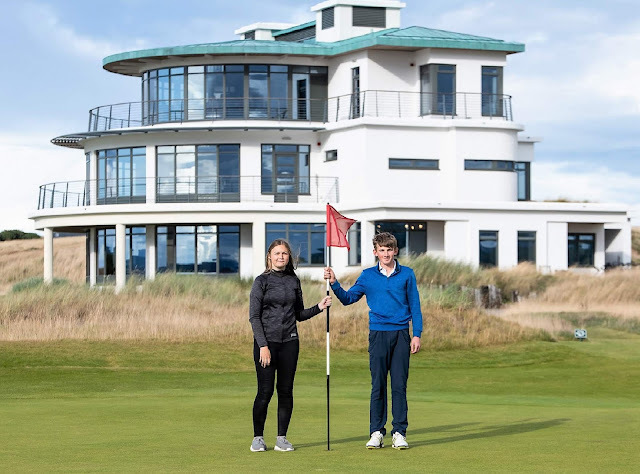 This year she also took the handicap trophy in Elgin Golf Club’s Ladies Club Championship, finishing runner-up in the overall competition, and also competed in the Scottish Girls Amateur Championship. The competition is supported and overseen by officials of the R and A, golf’s governing body, and counts towards the World Amateur Golf Rankings.